We encourage everyone to read the [long – make a cuppa first] article below by Dr Muriel Newman, and send in a submission on this Bill. It is so important that we stand up for universal and equally representative democracy and demand the removal, not entrenchment of the past-their-use-by-date racist, part-Maori Electorates! Last month Parliament debated a Bill to entrench the Maori seats. It had been submitted into the Private Members’ ballot by Labour’s Rino Tirikatene, the MP for the South Island Maori seat of Te Tai Tonga. He wants to make it more difficult to abolish Parliament’s Maori seats by ensuring that a vote of 75 percent of MPs would be needed to get rid of them. Submissions on the Bill have now been called. Labour is going around the country to drum up support, so in the interests of balance and fairness, I will outline the details here in the hope that you will not only consider putting in an opposing submission, but that you will encourage others to do so too. In politics submission numbers really matter. If a bill ends up with overwhelming public support at a Select Committee, then those pushing it will claim the country is behind their cause. Given that New Zealanders have long insisted that the Maori seats have passed their use-by date, this is the opportunity to say so. Submissions can be made on-line HERE or emailed to the Maori Affairs Select Committee at ma@parliament.govt.nz by 14 December 2018. The Electoral (Entrenchment of Maori Seats) Amendment Bill would add the Maori seats to the ‘reserved’ provisions of the 1993 Electoral Act, to prevent them being removed by a simple majority of Parliament. Reserved provisions can only be changed through the support of 75 percent of MPs, or through a majority vote in a national referendum. In general, major changes to electoral law in New Zealand are only undertaken with the express approval of voters through a binding referendum process. Accordingly, one could argue that entrenching the Maori seats represents such a controversial change that it should only go ahead if approved by a referendum of all voters. This rule was introduced through a review of Standing Orders in 1995 on the basis that it would be “inequitable” for a Parliament to pass a law under a simple majority vote that seeks to bind future Parliaments and generations. As a result, the support of the Government and the National Party would be needed for the Bill to become law. Since National voted against the Bill, this would appear to preclude it from succeeding, but as with many aspects of Parliamentary business, things aren’t always quite what they seem. Under Standing Order 4, Parliament can suspend its rules by a simple majority. This means that while an amendment to the reserved provisions of the Electoral Act would normally need to be approved by a special majority of 75 percent of the House, it would be possible – though highly contentious – for Standing Orders to be suspended and the new entrenchment provision passed with just a simple majority. Furthermore, as the Herald points out, while amendments to the reserved provisions within section 268 of the Electoral Action can only be passed through a special 75 percent majority of MPs or a nation-wide referendum, section 268 itself could be amended by a simple majority of Parliament. This would allow the Maori seats to be readily removed in the future – although this again would be a highly contentious move. But more on the convoluted politics later. The Maori seats were introduced on a temporary basis in 1867 to give Maori men (only) the right to vote. The settler government had requested colonial authorities to waive the English law requirement that only landowners could vote – since it did not apply to communal land – but they refused. As a result, four Maori seats were introduced as an interim measure while the Maori Land Court set about the complex task of individualising Maori land holdings. The seats were meant to remain in force for five years, but had to be extended for a further five years, and then indefinitely. The property ownership voting qualification for men was not removed until 1879, giving Maori men who didn’t qualify the right to vote 12 years earlier than non-Maori men. The Maori seats should have been abolished at that time, and with the introduction of universal suffrage in 1893, any practical reason for separate Maori seats disappeared completely. Over the years, there have been many changes to Maori seat voting but it wasn’t until the 1993 Electoral Act was introduced that the number of Maori seats changed from being fixed at four to being determined by the total Maori electoral population. The Maori Electoral Option follows a Census and gives electors identifying as Maori the option of transferring between the Maori roll and the general roll. According to Electoral Commission data, in 1994, 52 percent of Maori opted to register on the Maori roll, with 48 percent choosing the general roll. In 1997 the numbers on the Maori roll rose to 54 percent, in 2001 to 55 percent, then to 58 percent in 2006, before falling back to 55 percent in 2013, and 52 percent in 2018. As a result of the numbers registering on the Maori roll, the number of Maori seats in Parliament rose from 4 to 5 in 1994, from 5 to 6 in 1997, from 6 to 7 in 2001, staying at 7 in 2006 and 2013. The result for 2018 hasn’t been released as yet. However, the 2001 change from 6 to 7 seats was not due to a dramatic increase in the number of voters switching to the Maori roll, but was instead the result of a unilateral decision by the Government Statistician to change the way the Maori seats were calculated. Until that time, the Maori electoral population was determined by the number of people who indicated they had Maori descent on their Census forms. However, in 1997, the Government Statistician decided to include a proportion of those who had said they didn’t know, had left the question blank, or had given a confusing answer. As a result of this ‘imputation’ calculation, the number of Maori seats increased from 6 to 7. Without imputation there would have only been 6 Maori seats since 1997 – and one additional list seat. The problem with the situation as it stands is that section 3 of the Electoral Act requires the Maori electoral population to be based on “the total number of ordinarily resident persons of New Zealand Maori descent as determined by the last periodical census”. But the numbers used since 2001, have not been based on the census – they have instead been based on the census plus an estimate calculated by the Government Statistician. This raises doubts as to whether these methods and the results are entirely lawful. In 1986 the Royal Commission on the Electoral System made a series of recommendations that included abolishing the Maori seats if our voting system was changed from First Past the Post to Mixed Member Proportional. They warned that MMP would increase the Parliamentary representation of minority groups and that retaining the Maori seats would lead to an over-representation of Maori in Parliament. Indeed, when the MMP legislation was first introduced into the House, the Maori seat provisions had been removed, but as a result of strong advocacy by tribal leaders, they were added back in. As a result, there are now 30 MPs of Maori descent in our Parliament – including the leaders or deputy leaders of all political parties. That’s a quarter of all MPs. If the 7 Maori seats were removed, Maori representation would be 19 percent – clearly demonstrating that the need for separate Maori seats no longer exists. When the Maori seats were first established – to give Maori men the vote – they were undoubtedly constitutional in nature. But once universal suffrage was introduced, the seats became a source of political power for the tribal elite. That’s why they have no place in section 268 of the Electoral Act, which is reserved for key electoral requirements that are constitutional in nature. That’s no doubt one of the main reasons why past Parliaments have not entrenched the Maori seats and why future ones shouldn’t either. The Bill was opposed by National and Act, but supported by Labour, the Green Party, and New Zealand First. The support of New Zealand First was a surprise to many, since, in the lead up to the General Election, the Party had campaigned on abolishing the Maori seats, not entrenching them. At the time they said they wanted a nation-wide referendum to be held on the future of the Maori seats. However, New Zealand First’s Spokesperson for Electoral Matters, MP Darroch Ball, explained their reasoning during the First Reading debate. He said that while their Party believed in a single electoral franchise, on important matters such as the future of the Maori seats, it should not be MPs who make the decision, but the public through a binding referendum process. New Zealand First claims they will not support the Bill any further if that agreement is not made. A timeframe for a referendum would also need to be included in their amendment – to ensure that if the Bill became law a referendum would definitely be held. “The seven Maori seats in Parliament should be scrapped. The need for them has long passed. Indeed, the Royal Commission blamed increasing Maori underprivilege on our race-based Parliamentary system – reinforcing the view that separatism is not the answer to Maori disadvantaged, equality is. But the problem is that the Maori seats have become the power base of the Maori sovereignty movement. With an agenda that prioritises tribal influence and control, rather than focussing on the needs of the individual, the Maori seats have contributed to the growth of an underclass and should go. The seven Maori seats in Parliament should be scrapped. The need for them has long passed. Originally they were only meant to be there for five years to give Maori the right to vote in the general election 150 years ago this year. That was extended by another five years but in 1876 it was extended indefinitely. It’s hardly surprising given at the last election all the seats went back to their natural home, Labour. 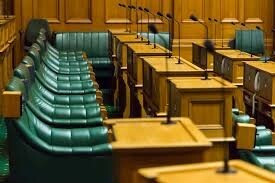 To entrench the seats means 75 per cent of Parliament would have to vote to get rid of them. Currently they could be scrapped with a simple majority. Without the seats, Labour wouldn’t be the Government today but their retention has always been up for debate. The Royal Commission, which proposed our MMP electorate system, said if it was adopted the Maori seats should go. It rightly argued that under MMP all parties would have to pay attention to Maori voters and their concerns and they felt their continued existence would marginalise those concerns. Around that time the seats came the closest they’ve ever come to abolition with an Electoral Reform Bill, but it failed after strong opposition from Maori. The seats have been something of a political football ever since. The First MMP election in 1996 saw them all going to New Zealand First, which lost the lot of them just three years later. At the last election Winston Peters promised a binding referendum to consider their abolition and on reducing the number of MPs to 100. His coalition deal with Labour put paid to that. Before the 2008 election John Key promised to get rid of the seats but in his first coalition deal embraced the Maori Party, which served as National’s insurance policy right up until the last election. Look at the statistics and see how well Maori have done. The Royal Commission was right, they’ve been marginalised, even though they have their own ministry. And today there are the most Maori MPs ever in Parliament, 29 with our indigenous culture’s heritage, or 24 per cent of Parliament and most coming from the general electorate roll. All of the political leaders with the exception of Jacinda Ardern and James Shaw lay claim to Maori heritage. So surely Maori are, or should be, better catered for then ever before. The seats have become redundant; other than a political crutch for Labour, they serve no purpose and rather than entrenching them, Parliament should be doing away with them. *This article was first published in the Herald on May 6 2018, just after the Electoral (Entrenchment of Maori Seats) Amendment Bill was drawn from the Parliamentary Private Members’ ballot. It is reproduced here with the kind permission of the author.